Who wouldn't love to see these again? Throughout the U.S. military’s long and storied history, there have been many different tasks that could only be completed by troops in specific, highly-trained roles. These military occupations and ratings were once critical to the fight until, eventually. they went the way of the dodo. The military is an ever-changing beast. In one war, sending cavalrymen on horses was essential to mission success — in the next, they were useless. Once, there was a need for the Navy to have its very own rating of sailors who’d paint the sides of ships — until they figured out that all the lower enlisted could do it. While no one is hounding for the return of horrible jobs, like loblolly boy (an unfortunate soul who’s entire purpose was to dispose of amputated limbs) or pigeon trainer, bringing back these roles would definitely make life better. Nothing screams Americana like a badass riding on a Harley on the way to go f*ck some sh*t up. In WWI, these troops were seen as the evolution of horseback cavalry, able to effectively maneuver through battlefields. 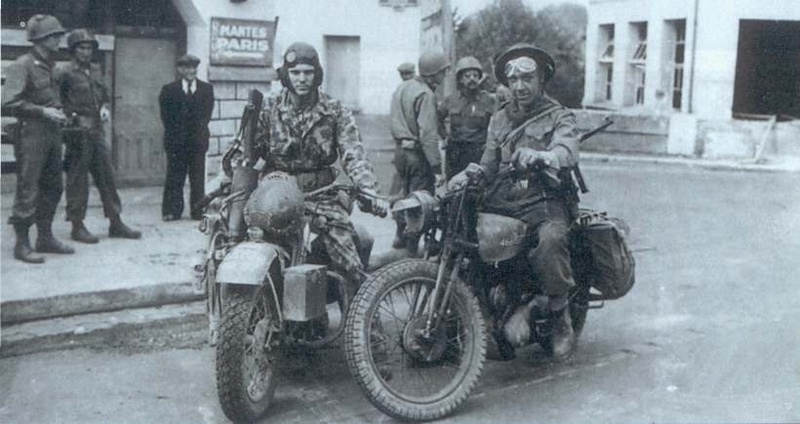 They served as both scouts and deliverymen. Motorcycle riders could easily fit into the current cavalry — if they’re willing to give up the safety of up-armored vehicles for a boost of speed. That roar? It’s the sound of freedom. Aeroscouts did exactly what their name implies: They scouted from up in the air. They’d ride along with helicopters and get a bird’s eye view of the battlefield or enemy movements and relay it back to headquarters. The only modern equivalent to this would be a UAV operator, but not even the best technology could replace the need for a skilled eye. They’re one part door gunner, one part scout, and all parts badass. 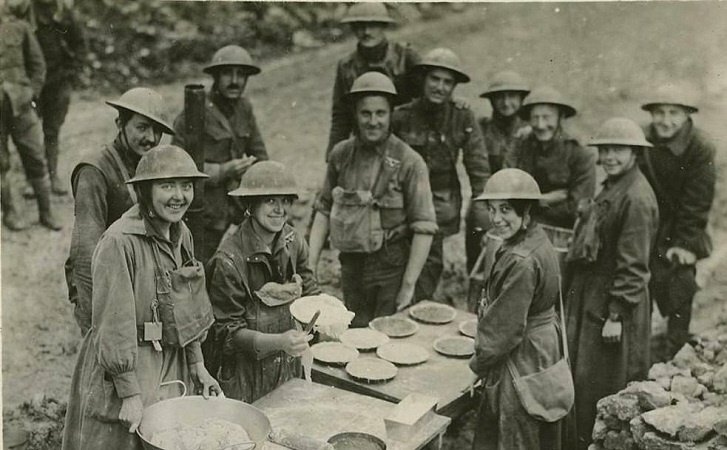 Back in WWI, the WAC and the Red Cross had a specific job for women who’d make sweets and deliver them to the troops. Apparently, the sweets they made were so good that doughnuts became an American breakfast staple as a result. But they weren’t just limited to just doughnuts. They made cakes, candies, and all sorts of desserts as well. A return of the “doughgirls” isn’t that much of a stretch. Nearly every occupation in the military is broken down by specialization and areas of expertise with an exception for cooks. Cooks, in general, know who within their ranks is best at certain tasks better. One cook might be known for serving up gourmet, single-dish items while another is lauded for their ability to feed mass amounts of troops at once — or, in this case, making desserts that boost troop morale. Why not officially specialize and let a cook play to their strengths? If each musician in the band can get their own identifier, why can’t cooks? Within the public affairs corps was the once-coveted position of cartoonist. They’d work with the various news outlets within the military and draw comic strips. 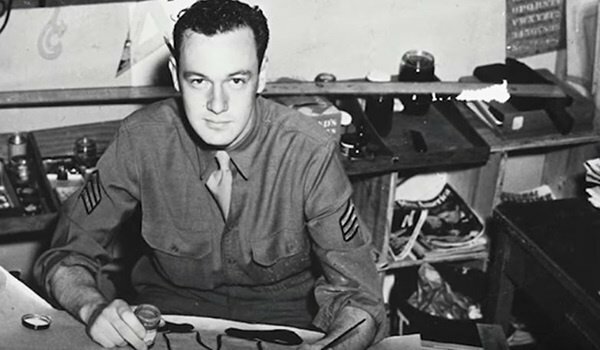 Many pop-culture icons that served in the military, including Theodor Seuss Geisel (aka Dr. Seuss), Bill Mauldin of Willie and Joe fame, Shel Silverstein, and Stan Lee, cut their teeth on drawing cartoons for their fellow troops. Comics as an art form are still beloved by troops today. Troops can’t get enough of Terminal Lance, even if they’re not in the Marines. If the military gave that creative outlet back to troops, many more stories could be told through a medium that troops adore, taking minds off the stresses of war. What other MOS can claim as many celebrities as cartoonists? Many branches used to have their very own barber that would be embedded within the unit. They kept everyone up to standards and troops didn’t have to pay a dime. As with most service-industry jobs the military once had, civilian contractors eventually took over. Not to discredit the fine men and women currently serving their country as tailors and laundry specialists, but troops need haircuts every week. Because troops don’t exactly make a fortune, they pinch pennies. When they pinch pennies in selecting a barber, the results are sometimes tragic. How recently did Army barbers get the can? 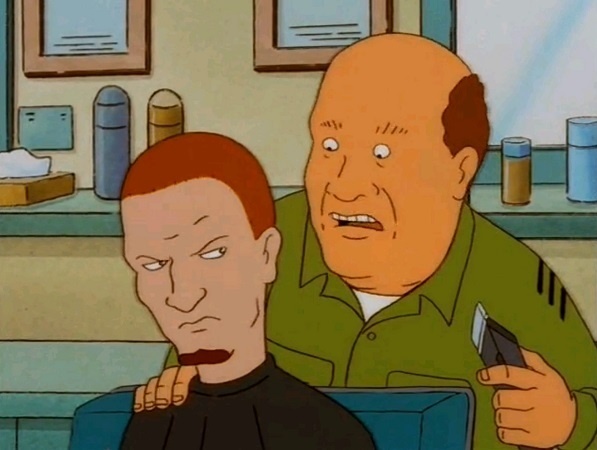 Well, Bill from 1997’s ‘King of the Hill’ was one. 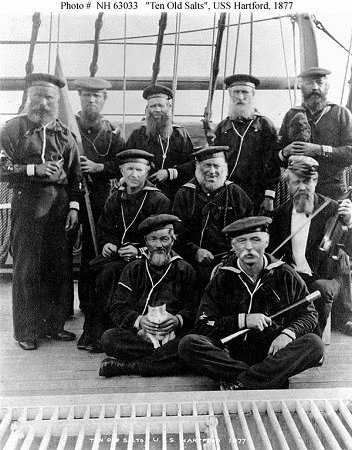 Over a century ago, the Navy would take anyone willing to be on a ship. Whether they were smart (or even literate) wasn’t a factor. Schoolmasters had the duty of teaching adults what they would have learned in grade school, giving them a leg up on civilian peers who never had an education. Let’s be real for a second. There are a lot of troops in the military who have a high school diploma or a GED that, despite the official paperwork, we all know are idiots. Having schoolmasters in service again would mean that command could refer these troops to night classes so they don’t get laughed at any time they need to read something out loud. The schoolmaster is the dude with the violin because of course he is. 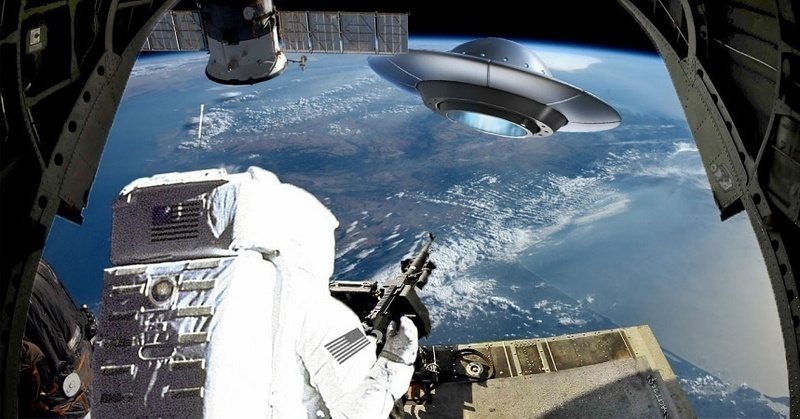 As much as we all go to bed dreaming about being the first in line at the Space Corps recruitment office, each branch has had their own astronauts for a while. For a time, Uncle Sam exclusively sent service members into orbit. Recently, however, only a handful of actual troops have gone up. The Army currently only has three astronauts serving under official capacity — but they’re more like liaisons to NASA. When the time is right for the Space Corps, these three are more-than-likely to rise among the ranks — you know, since they’re actually astronauts and not just people who like Star Wars. Hopefully, one of these will become a space shuttle door gunner and live out all of our wildest dreams. The military is constantly changing. What is was 100 years ago isn't close to what it is now. 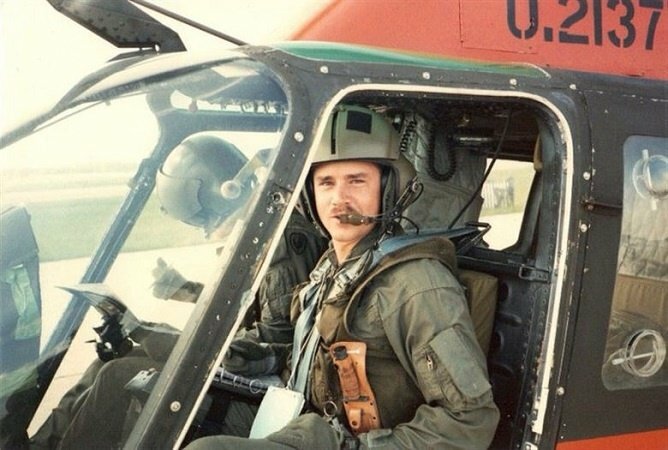 Here are 7 old military jobs we'd love to see brought back.